Mobile Apps are powerful tools for any business. Whether it is a 'mobile first' approach, a digital marketing campaign, an extension to an existing web app or a business looking to target users on all platforms, it goes a long way to pick a mobile application development company that delivers exceptional mobile user interfaces and engaging mobile user experiences. Our app development services go beyond just design and a solid user experience, we specialise in building powerful native iOS & Android mobile applications using next generation technologies that allow entrepreneurs, startups, businesses & brands to connect with users through one-on-one, rich, interactive and personalised experiences. The mobile application space today is a competitive race where only applications that are truly 'smart' can get ahead. With increasing expectations, the benchmark for application MVPs is at a much higher level than it was a few years ago. With no shortage of competitive options, it is a mandate for mobile apps to have a high level of focus on purpose, user interface, user experience and performance. Simply put, to be outstanding, a mobile application must stand out. For existing businesses, the pressure to deliver rich mobile applications is even more. Startups, brands & businesses today must have a mobile experience second to none in order to keep their existing and potential users engaged. This is where we really shine - Android app development, iOS app development and Tablet based mobile applications that inform, engage, interact and amaze users. Through a ground up process that starts at the drawing board, we’re a mobile app design & development company that ideates and conceptualises strong user interfaces and with fantastic user experiences. We then build static flows for the applications using the latest technologies and integrate them with custom JSON web services, with or without encryption depending on the project needs and finally, we hand test our android applications and iphone applications across multiple devices to ensure consistency of the build. All our apps provide clients with the option of going live post testing or privately distributing to beta users for feedback. 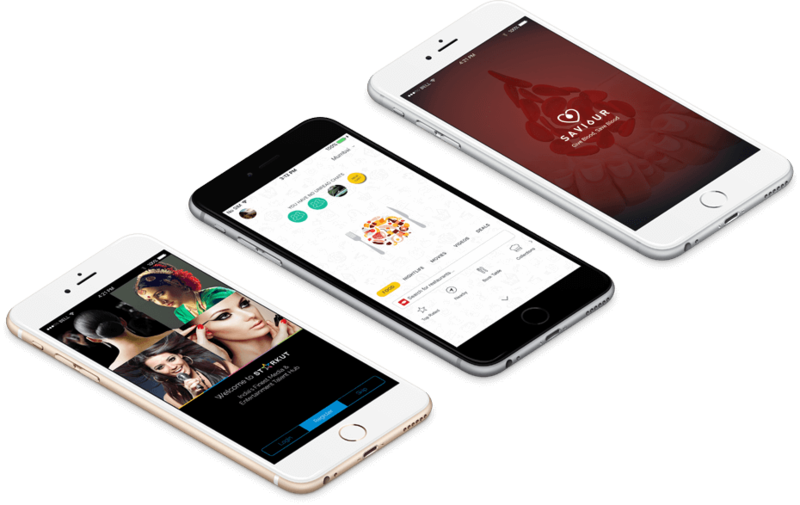 When you’re looking for the best app developers in Mumbai, you want to make sure that you get the best value at the best viable price. We ensure that our solutions are not only high quality and full featured but they also delivery the best return on investment. We build mobile apps that tap into a variety of native APIs to provide for a rich mobile user experience and a host of features. Our experience with native APIs available on smartphones and mobile devices enable us to build mobile application with a range of features. Having an deep understanding of these features allows us to build Android apps and iPhone apps that provide a truly integrated experience to users. Amidst a sea of mobile app development companies in mumbai, what makes us stand out the most is our years of experience building and scaling mobile applications. 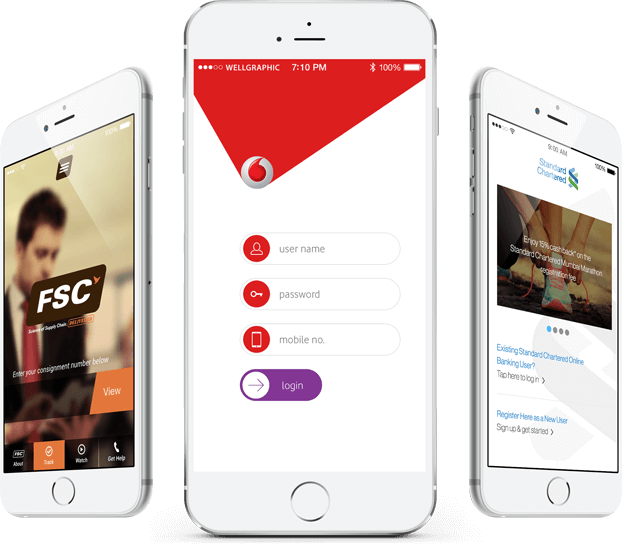 Besides being an exceptional website design company, our mobile app design and development approach has always been our strong suit and that is exactly what sets us apart from any other company based or invested in the field. When you engage a mobile app development company, you want to be sure that they provide a full range of mobile application development services. Well we’re that company. Delivering high quality mobile solutions comes down to the choice of mobile development technology. In many cases, you may need more than one option before narrowing down on a technology of choice. We understand this need and hence, have widened our mobile app development offering to accommodate a multitude of options. Our mobile services include a range of options for clients, digital marketing agencies, startups and businesses including native Android and iOS app solutions, cross platform mobile application development, hybrid mobile application development and mobile web apps.